With its lace-up bust and quarter length sleeves, the Irene Canvas Dress will help you stand a step above the average peasant maiden. This full length medieval gown is made of cotton canvas in a slightly fitted A-line shape. Tapered at the waist for subtle shaping, this peasant dress is figure flattering without holding too close to the form. The adjustable lacing along the front of the bodice reaches up from the bottom of the bust and above the waist to end at its round neckline. Wear it loose for a relaxed look that reveals an underlayer, or fasten the laces tight to make a refined impression. Great for layering, the elbow-reaching sleeves can keep your hands unhindered or elegantly reveal an underlayer when worn over a gown with longer sleeves. 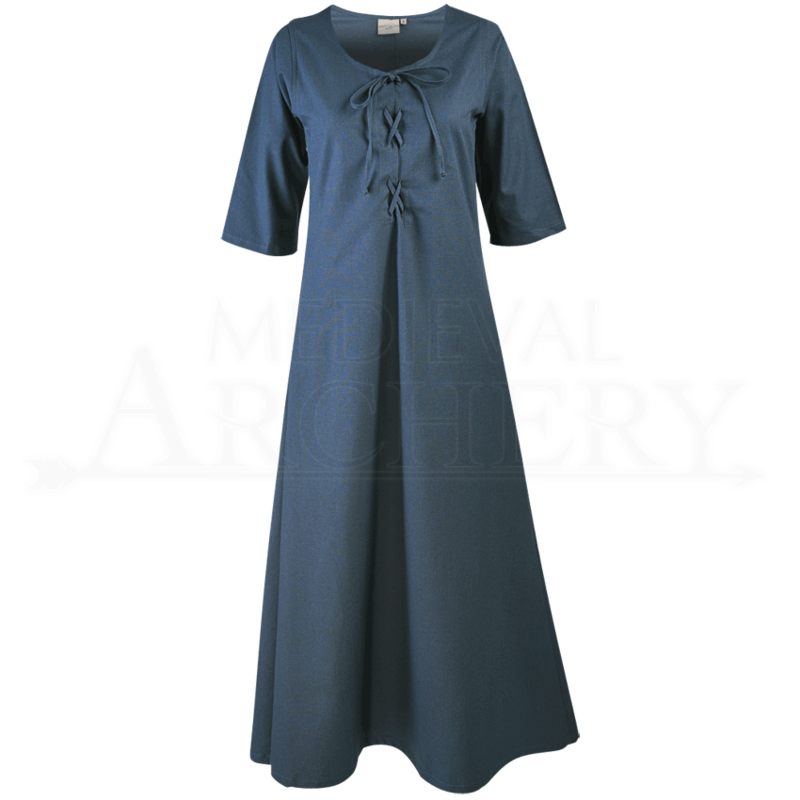 Beautiful in its unpretentious design, wear the Irene Canvas Dress for unique medieval maiden style at your next historical reenactment, LARP event, or Renaissance festival.